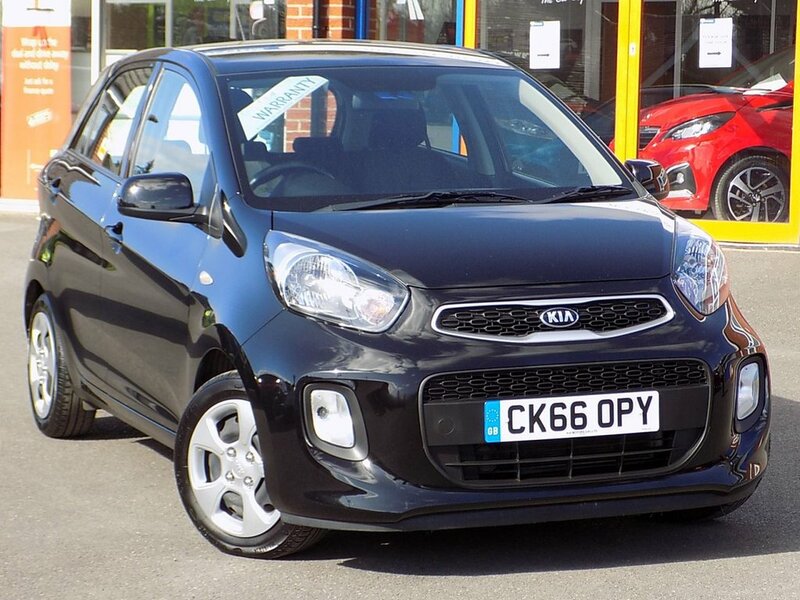 Finished in a smart Galaxy Black this low mileage little Picanto combines style with great value and low running costs with road tax costing you just £20 a year. Comes with nice features including Bluetooth with Audio Streaming and Voice Recognition, Air Conditioning, Daytime Running Lights, Electric Front Windows, USB and Auxiliary Sockets and RDS Radio/CD and MP3 Player. Vehicle has Full Service History (2 stamps) Please aks for details of our fantastic finance and warranty packages, subject to status, T's and C's apply.